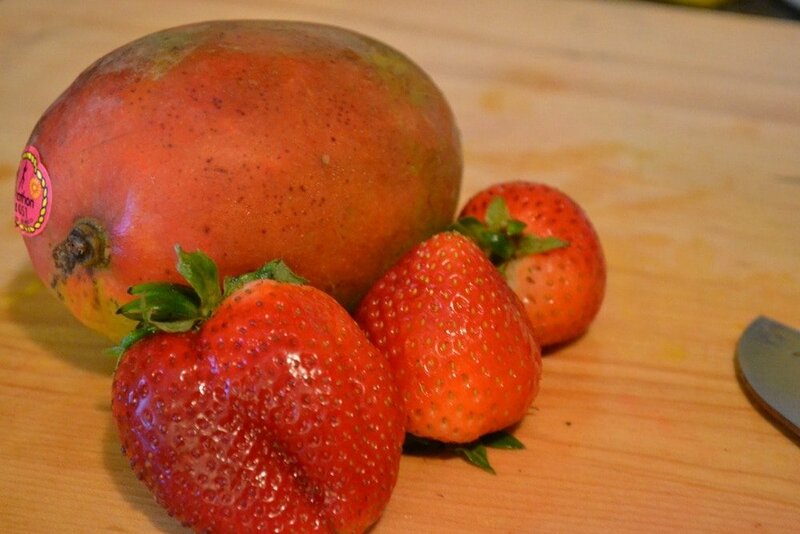 The temperatures are rising and the prices of fresh produce are dropping. That means I get to make all sorts of yummy fresh treats! I got lucky and snagged several beautifully ripe mangoes at Aldi this week for $0.39 each! We snacked on a couple of them, and the rest needed to be used ASAP. My girls love to help me make fresh sorbet with our ice cream maker. It is such a refreshing treat on a hot summer’s night! 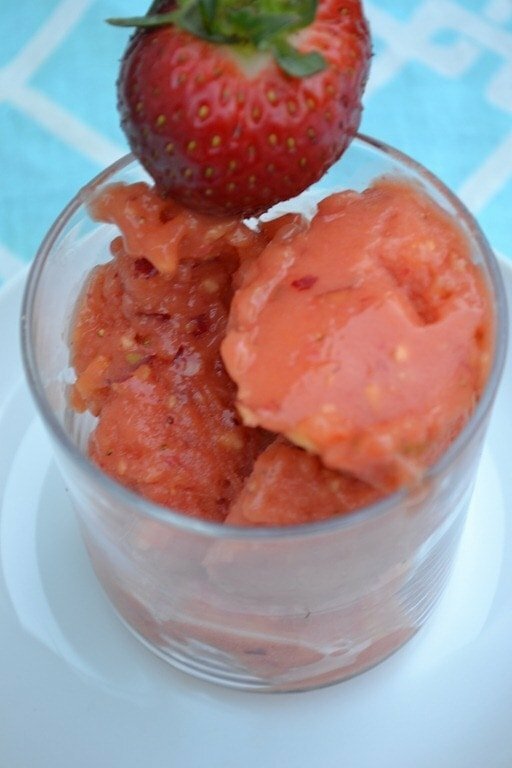 This time we threw in some strawberries and really made a super snack! This is so simple! 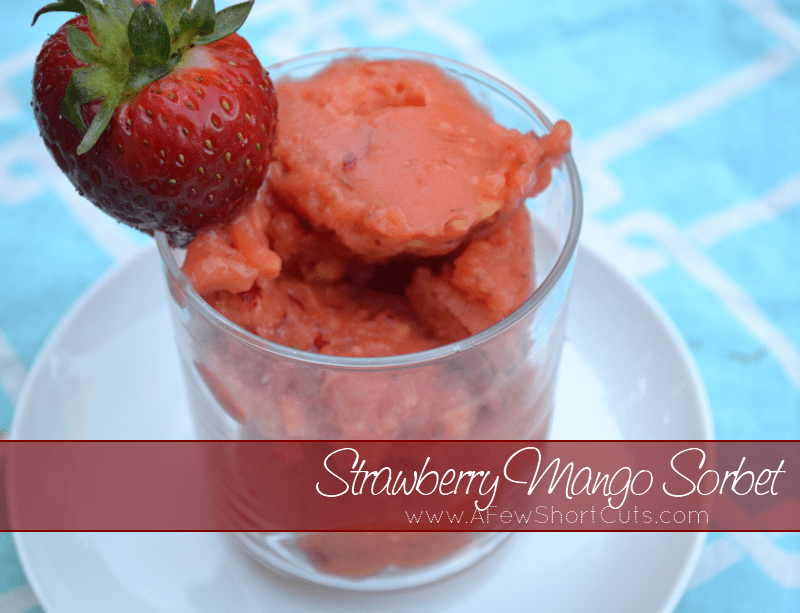 It is a must try with some of your fresh summer fruit! Plus, here is a great deal on an ice cream maker if you need it! 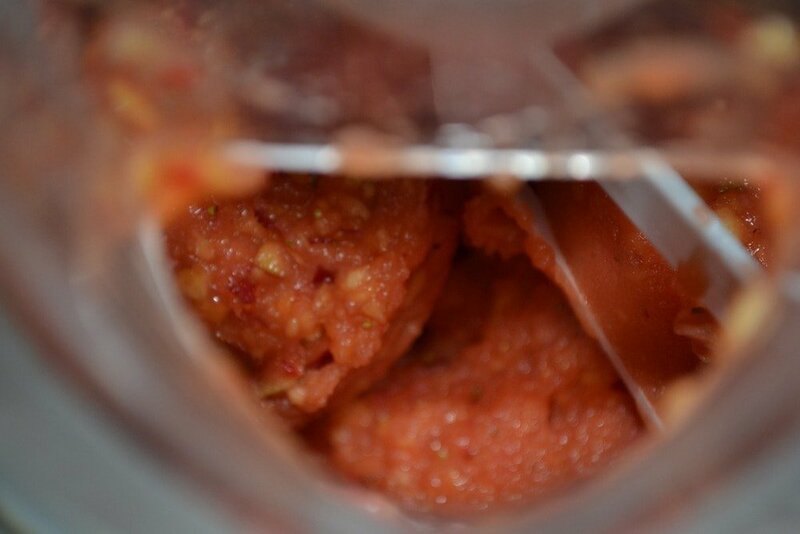 In a food processor or blender blend together all of the above ingredients until liquified. I left a few chunks in mine because we like to taste the fruit. Add agave syrup or honey for sweetness if needed. Place mixture into your prepared ice cream maker an freeze according to your manufacturers directions. Choose fresh ripe produce and peel and dice. 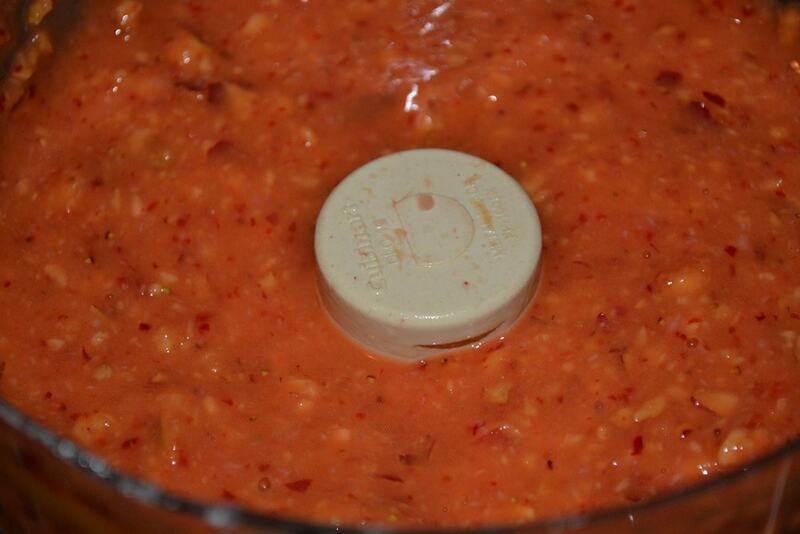 Process it in your food processor or blender until liquefied with orange juice. Add agave syrup or honey for sweetness if needed.